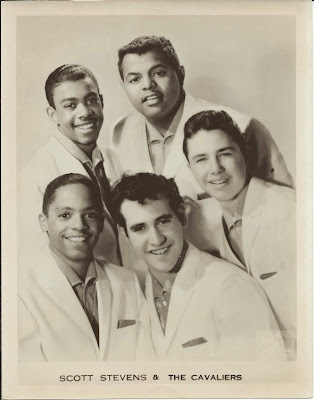 The original name of this integrated Bronx group was the Satellites,founded in 1956 by Stephen Glaser aka Scott Stevens(Lead) ,Steve Weil(Bass) ,Jackie Morgan(Baritone),John Duff(2nd Tenor) and Lloyd Needleman(1st Tenor).Stevens and Needleman were white. 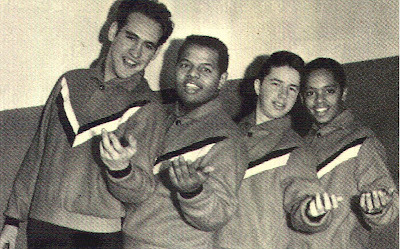 They Appeared on Ted Mack Original Amatuer Hour and Won when by internal problems Weil leave the group this singing as a quartet and change their name to The Cavaliers. 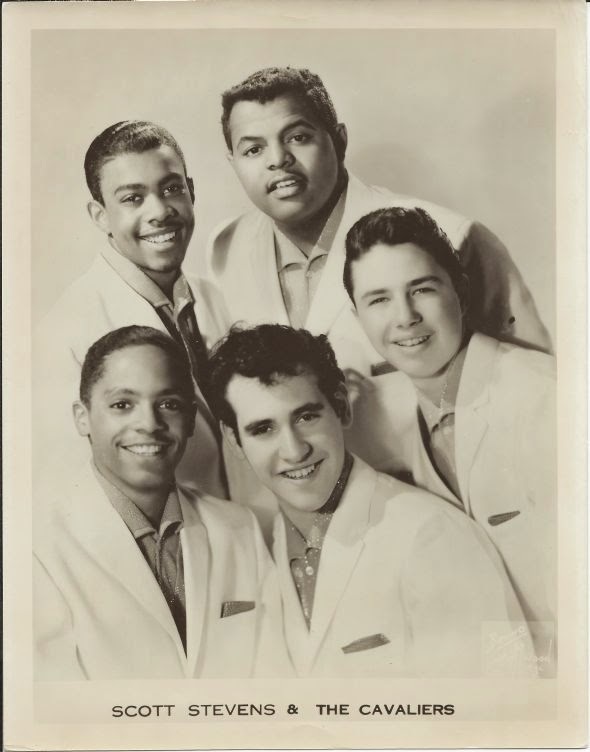 In 1957 Junie Smith join the group when they were discovered by Ed Portony Of Ivy Records he had them sing a contract with Ivy and scheduled them to record.Under the supervision of Mr. Portony the group recorded several demos as_Bench Of Love/Dance Dance Dance/I Found a Girl/Angel...many of they written by Stevens. Mr. Portony sold the masters to ABC Paramount's new subsidiary label APT Records and this release in 1958 the sides_Dance,Dance,Dance/Play By The Rules Of Love. The A Side_Dance,Dance,Dance was number 1 in New England and sold 250,000 copies. They have the 1958 unreleased sides_Angel / Bench Of Love /You're Only Young Once /Too Long Ago / I Like Girls /I Found A Girl /Power Of Love /Loved In Vain /Gone Is My Love /I Wonder. On their second APT release_Sunday In May/Why Why Why.Scott Stevens & The Cavaliers appears on the record's due to Steven's intention to eventually go solo.the other members were quite perturbed at this news and the group soon disband.